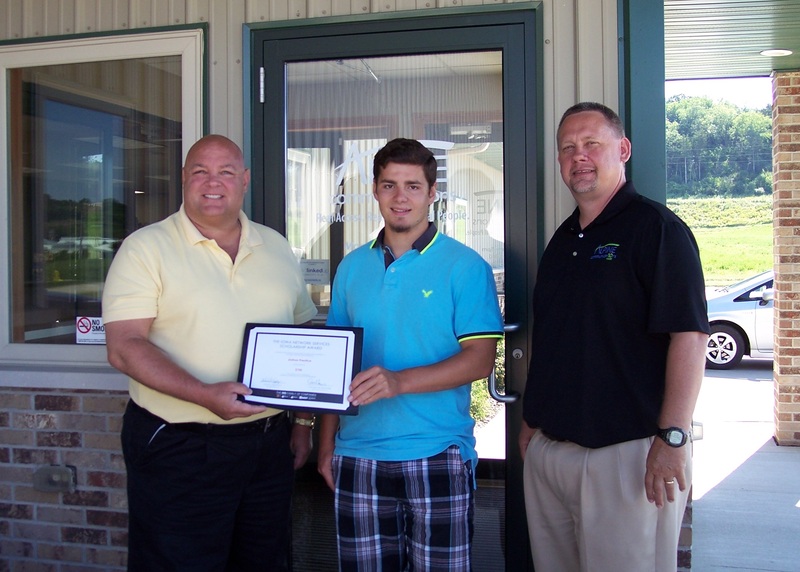 DES MOINES, IA (July 22, 2015) – Iowa Network Services (INS) has announced the recipients of its 2015 Scholarship Program. This year, more than 40 highly qualified applicants competed for $5,000 in scholarship funds. Six deserving high school students were selected to receive up to $1,000 for demonstrating excellence in the classroom and in their community, along with their commitment to further their education in a STEM-related field. The INS Scholarship Program supports students pursuing careers in science, technology, engineering and math (STEM). Funded by Iowa Network Services and established in 2003, the INS Scholarship Program (previously the netINS Scholarship) provides students in rural Iowa communities, supported by the Iowa Independent Telecommunications Companies, with up to $1,000. To date, INS has awarded approximately $60,000 in total scholarship funds. Joshua Prentice of Elgin, Iowa, plans to attend Iowa State University in Ames. As a senior at North Fayette Valley High School, he was a member of the “Project Lead the Way” robotics program and competitive speech team. He performed at All-State as part of the Improvisation team and as an individual. In addition to his academic activities, Joshua is heavily involved with the Boys Scouts of America and he has earned the rank of Eagle Scout. Iowa Network Services (INS) is the only Iowa-owned company that offers carrier-class voice, data and business services. INS is privately owned by a group of 122 Iowa Independent Telecommunications Companies, and has served rural Iowans since 1989. Telephony, core network transport, Internet, dedicated fiber, Internet Protocol video, data center facilities, network management, technical support services, information technology and HR outsourcing are among the many products and services offered to communications companies and enterprise businesses nationwide. The INS Family of Companies includes Alliance Technologies Inc., an information technology company; Alliance Connect, a statewide competitive local exchange carrier; Caleris Inc., an Iowa-based company offering outsourced call center solutions and other services; and Merit Resources, a Professional Employer Organization. INS is also affiliated with iWireless, a statewide cellular partner with T-Mobile. For more information, visit www.IowaNetworkServices.com.